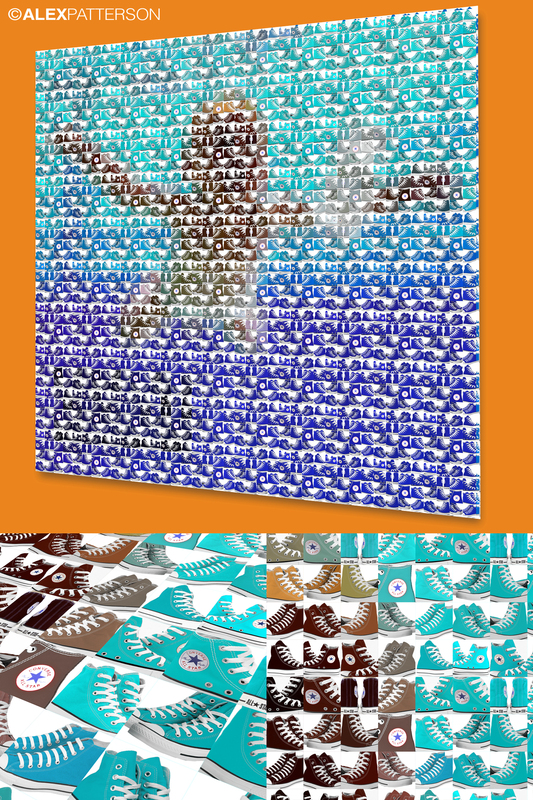 Get your own photo created in Pantone swatches. 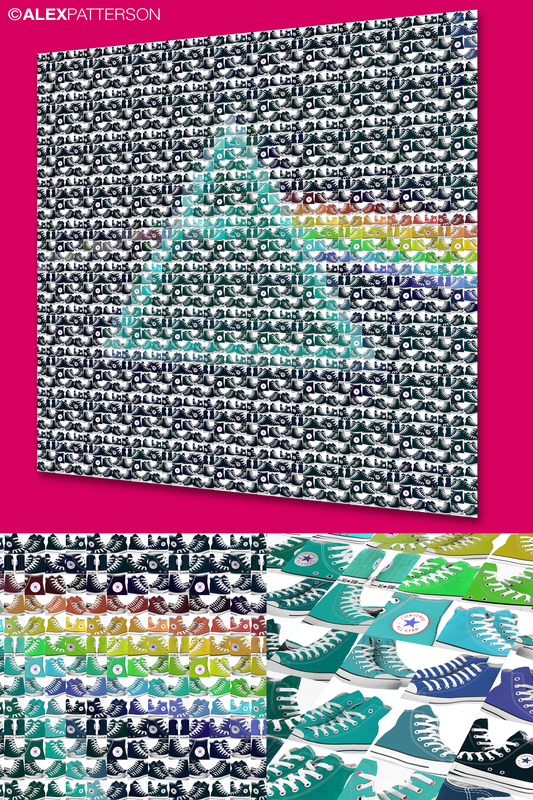 Personalised Pantone’d portraits available now – CLICK HERE! loving the use of pantones. My Personalised Pantone’d portraits Kickstarter project has now Launched. Please take 1 minute to watch the video above and then check out my promo page and bag yourself a quality piece of art. 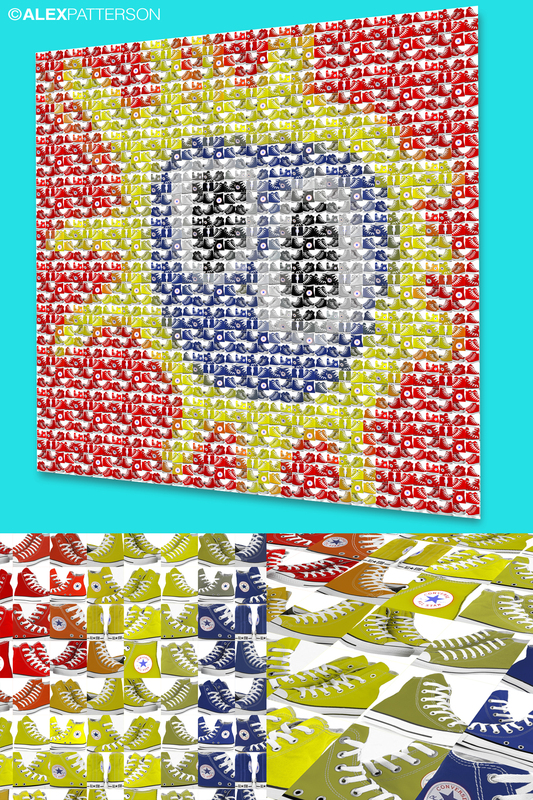 Album art created from a collage of Converse All Stars by myself Alex Patterson. Favourite trainers and one of my favourite albums. A good combination. Pink Flloyd, Dark Side of the Moon. 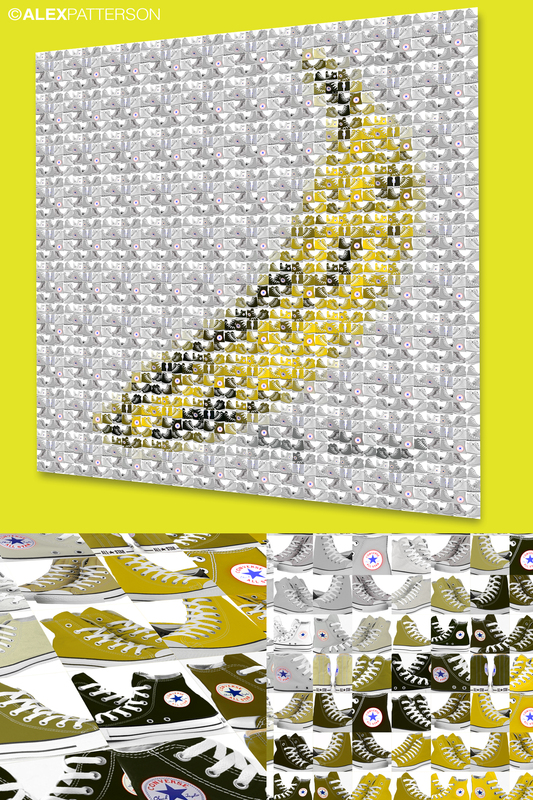 Each of the 1600 sections of the image is created from a picture of converse trainers. Not sure if you can get All Stars in all these colours but you could always buy a white pair and dye them… or colour them in with a Sharpie.